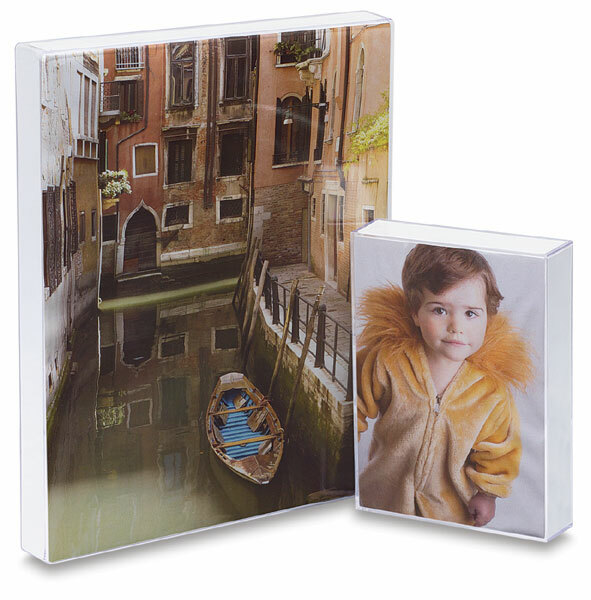 Molded plastic box frames have a rigid white cardboard insert to keep artwork pressed firmly against face. Insert also permits vertical or horizontal hanging. Smaller sizes have easel backs for standing.